As Fall unfolds and winter approaches, it’s time to think about giving your home and your family a boost of fresh air, reduced stress and visual beauty. How can you do that? With indoor potted plants. Some plants are known for their ability to remove harmful chemicals from the air. Overall, plants and nature have shown to reduce stress levels and improve mood. And for most people, plants are visually appealing and give our minds a break from “hard attention,” the kind we use when we read, solve problems at work or focus on a task. 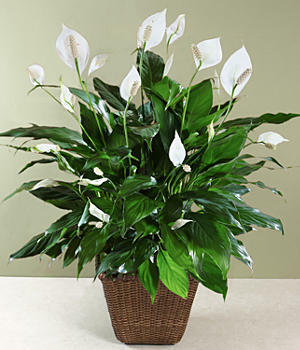 To send a friend or relative a burst of healthy air and the gift of stress reduction, you can send them a Potted Peace Lily Plant (Spathiphyllum) for about $40 (with shipping) from Proflowers here. In Chicago, you can find locations to buy air cleaning plants here. Breathe deep and enjoy your indoor plants! They may help keep you from getting cabin fever.